Display engaging content from social media into your website. Your NowSignage account comes fully equipped with the most powerful social media search tool on the market. 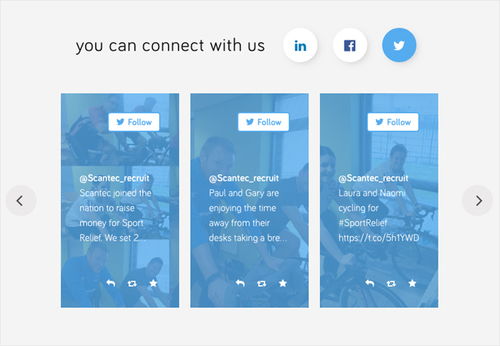 Simply connect your company's Twitter, Instagram, LinkedIn, Facebook or YouTube accounts and start publishing the best of social media directly into your website. Why not take it a step further and cherry-pick those great customer posts to act as live endorsements and testimonials on your service or product pages too!